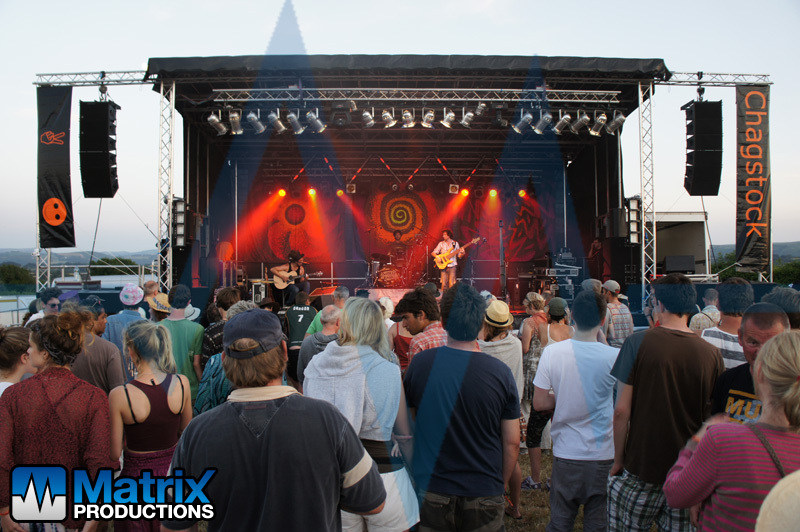 Chagstock 2013 marks the 7th year of Matrix Productions providing staging, sound and lighting systems to the Main Stage and the Marquee Stage. 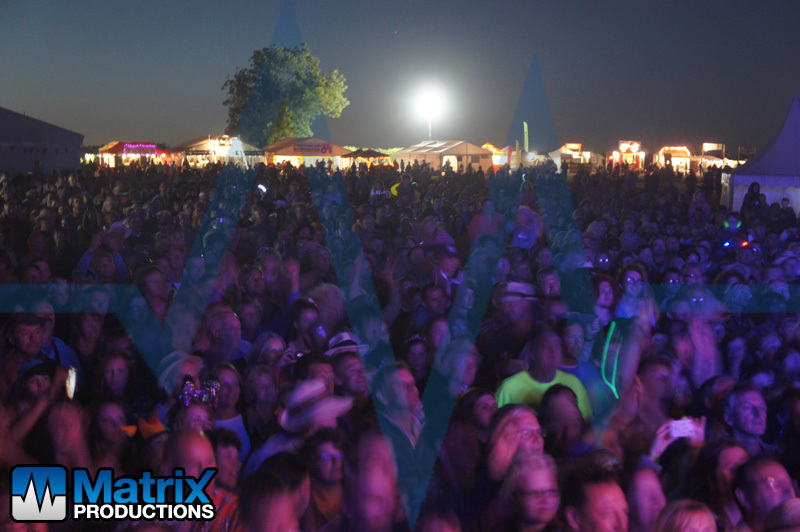 Right in the middle of the first UK heatwave for 30 years 2013 was the second year the festival has sold out. 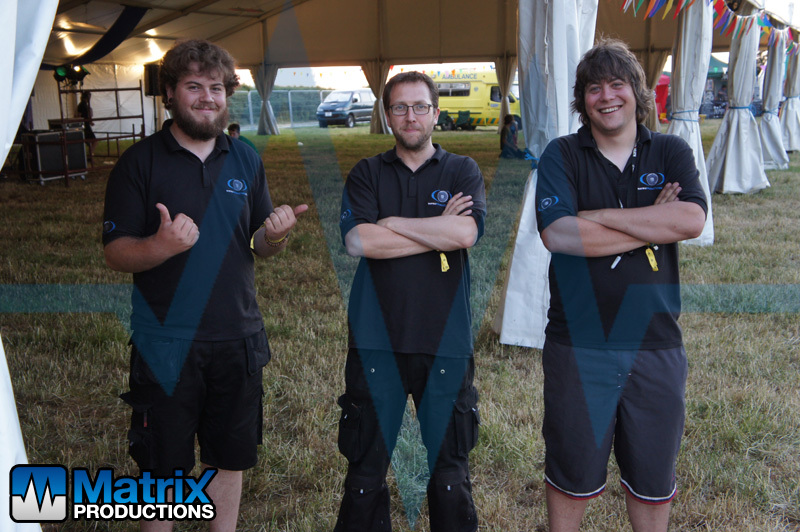 With 5000 people on site it truly was a remarkable weekend. 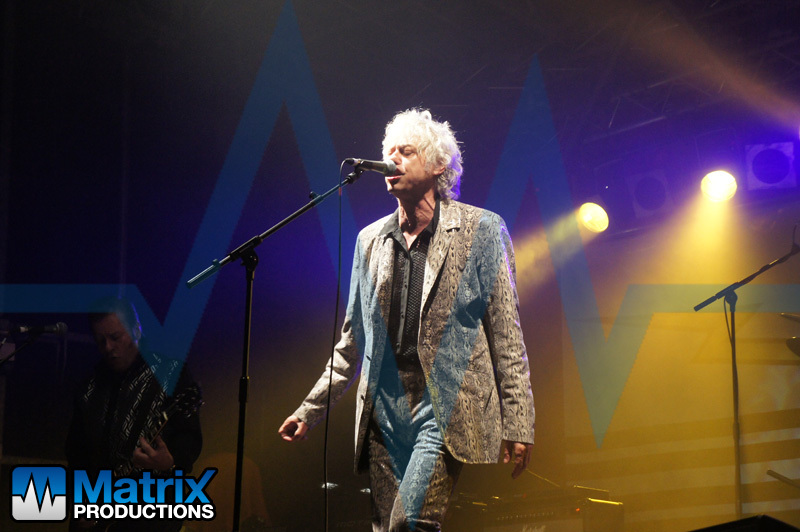 Headlining the main stage on the Saturday this year were the legendary (and only recently reformed) Boomtown Rats. 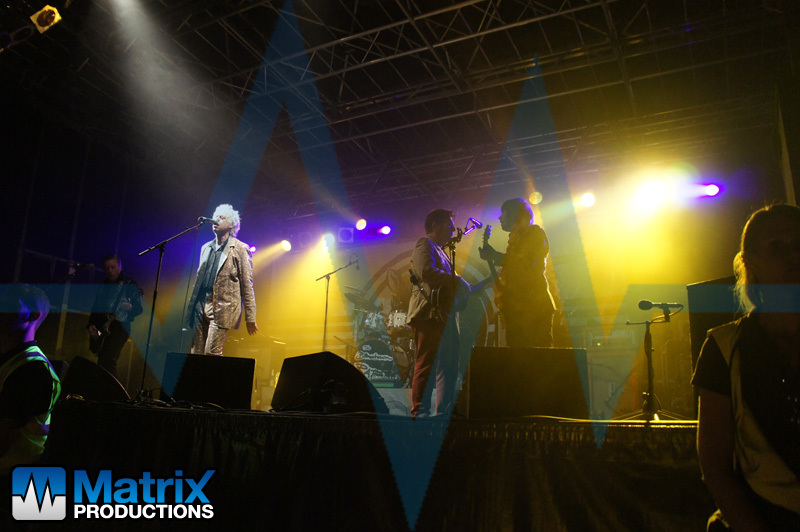 Fronted by Sir Bob Geldof, the band, whose drummer Simon lives locally, put on a great show and had the 5000 strong crowd in the collective palm of their hands. 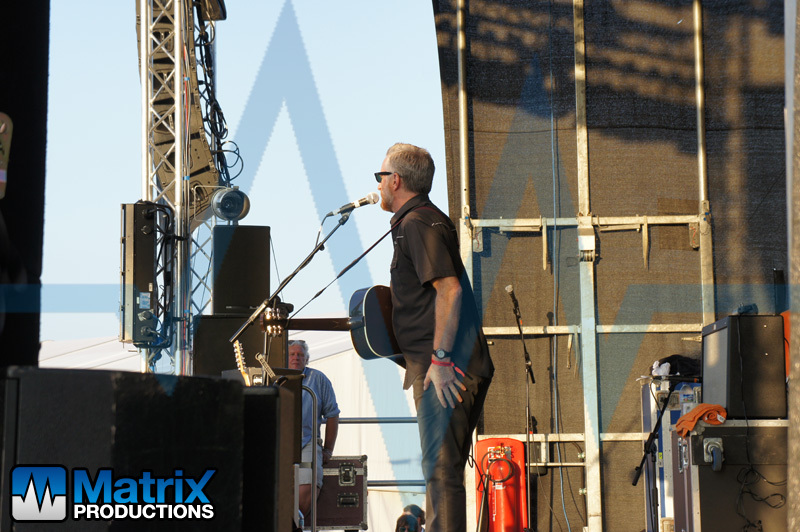 Also on the main stage were Billy Bragg with his extraordinary one man show, New Crisis in their largest and strongest lineup yet, Crowns, Emily Barker & the Red Clay Halo, Lily & Meg and local battle of the bands winners Aurora Skies. 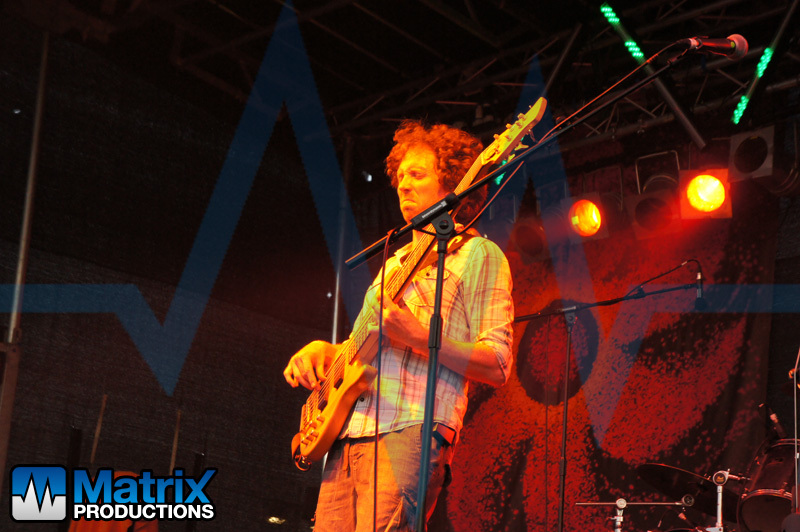 The organisers took the decision to run the main stage also on the Friday this year too – headlining were The Mystery Jets, with support from Willie & the Bandits, Kathryn Roberts & Sean Lakeman and Flats & Sharps. 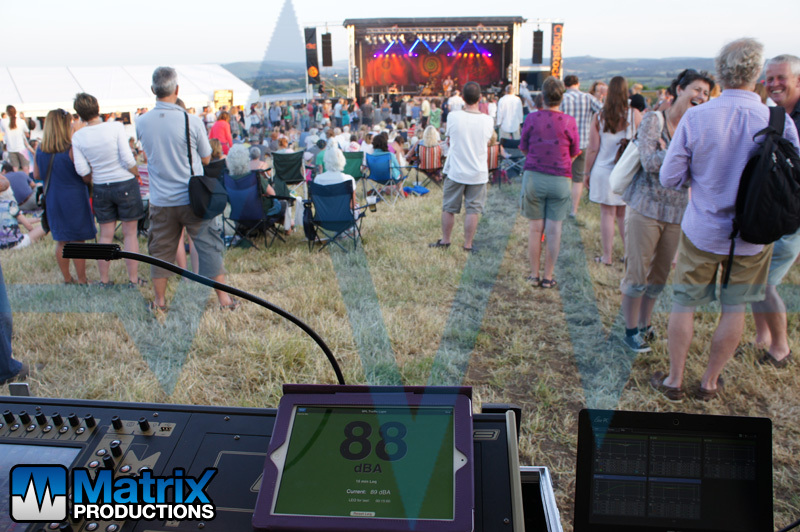 Equipment used on the Main Stage was a d&b Audiotechnik Q1 Line Array, with Q-Subs and B2′s, Q7′s for infill and Max15 monitors on stage. 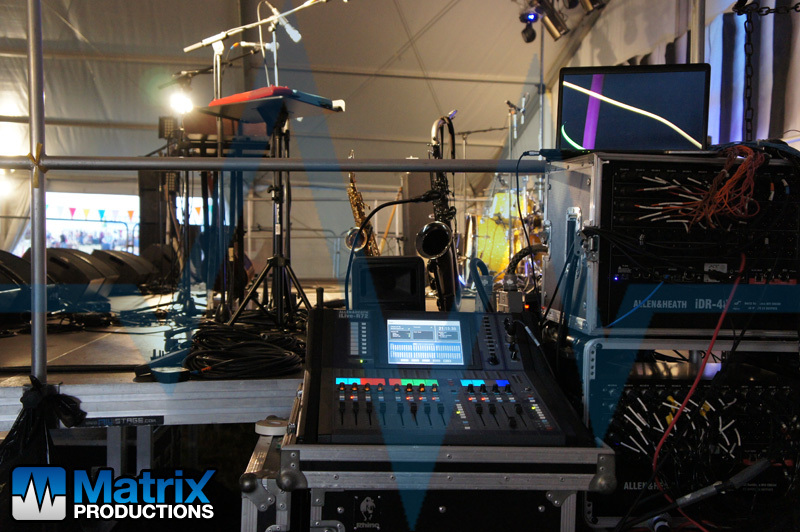 Mixers were a Digico SD8 FOH, and a Yamaha M7CL-48 on stage. 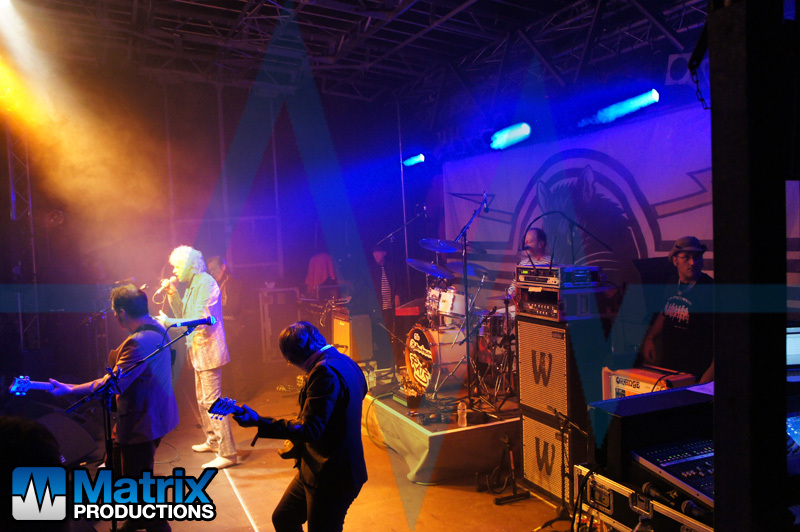 Headlining the Marquee Stage this year was Yes Sir Boss on the Friday night and Dizraeli & the Small Gods on the Saturday night. 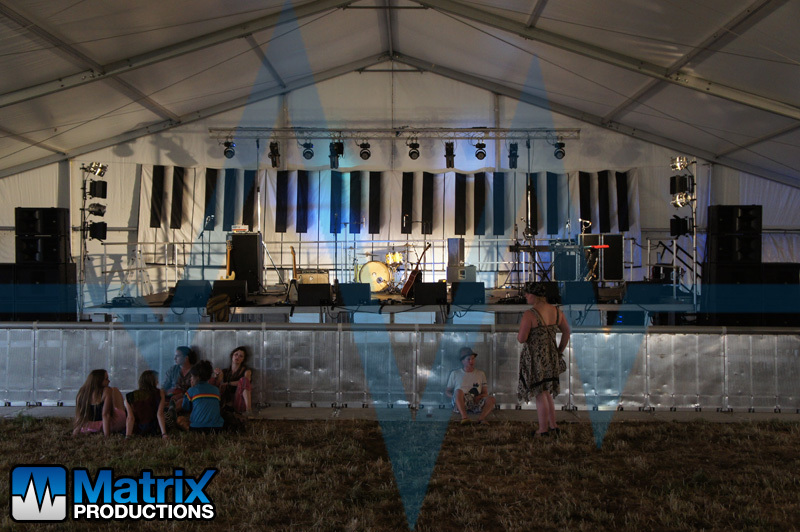 Also playing on this stage were Ferocious Dog, Brother & Bones, Crazy Arm, Lillian Todd Jones, Land of the Giants, Marc O’Reilly and Skinny Dog. 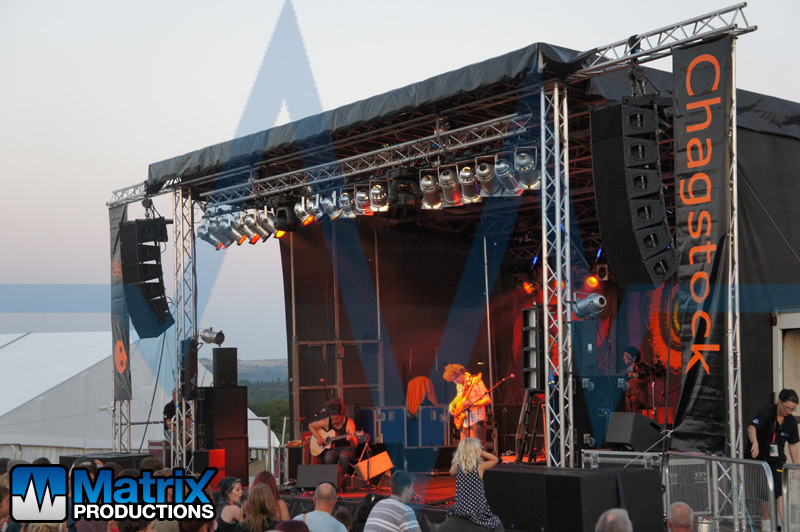 Equipment used on the Marquee Stage was a KV2 ES System, with L-Acoustics 12XT monitors. 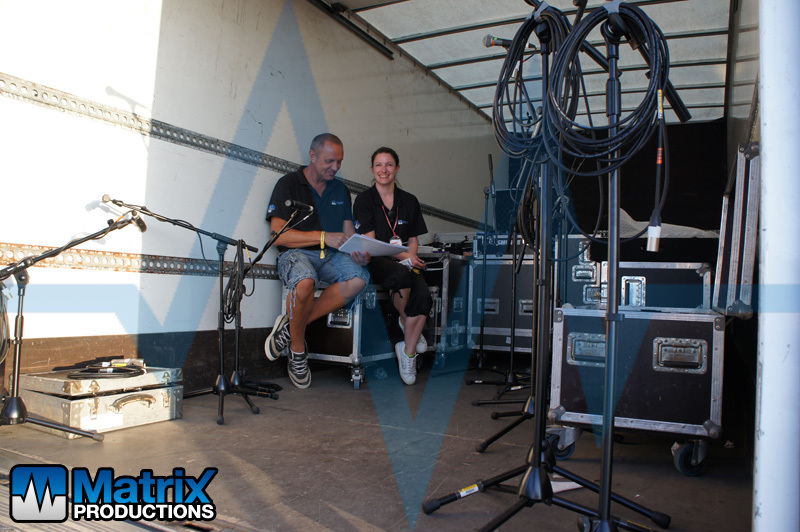 Mixers were Allen & Heath iLive’s FOH and on stage. We were also tasked this year with assisting with the noise management plan. Fundamental to the licence for the event is the overall compliance with local Environmental Health limits. 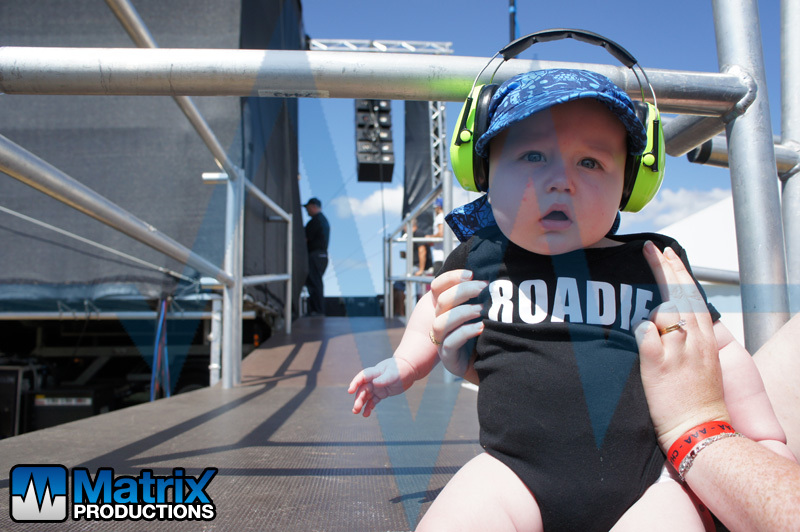 We helped with the monitor and compliance with the limits imposed upon us for the event, to ensure the festival’s future. 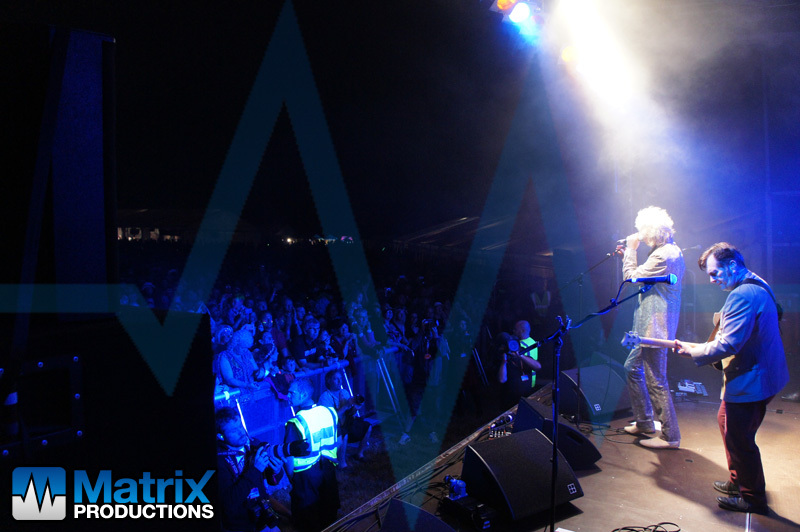 For more information about attending Chagstock, visit www.chagstock.info If you would like any more information on the services we provided for Chagstock 2013 or are planning your own festival and would like help and advise on doing so, please contact Simon Woods-Tucker on 01626 818592 or email here.